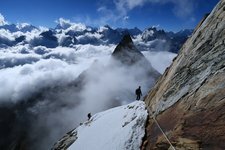 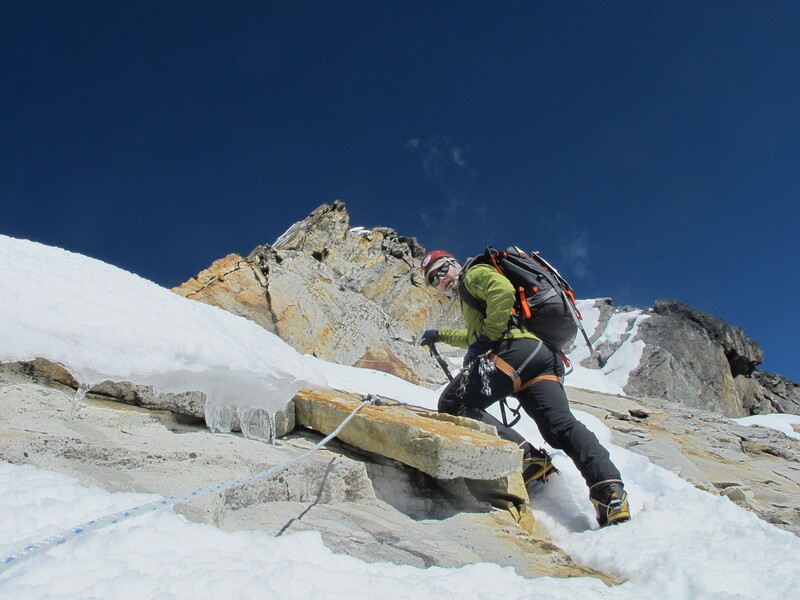 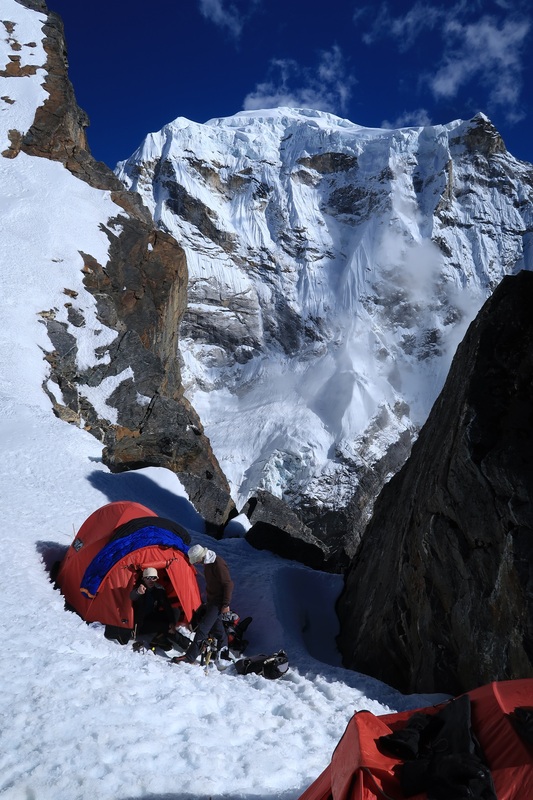 We went back to camp 1 again to acclimatise some more and the do a bit of a reccy on the Rock step that leads to the SW ridge proper. 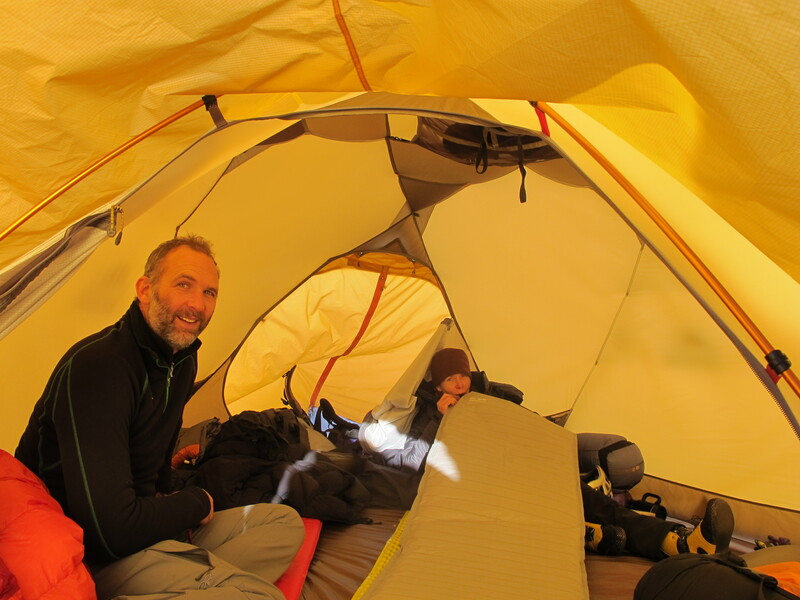 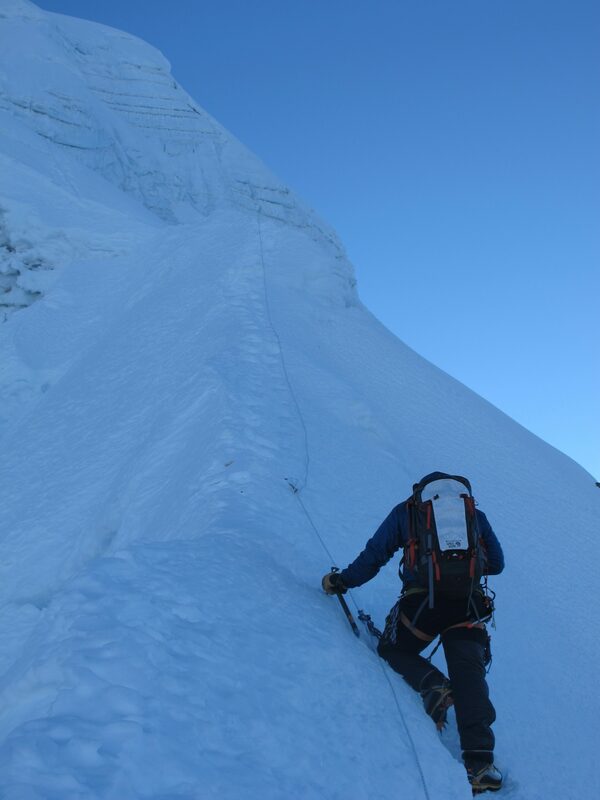 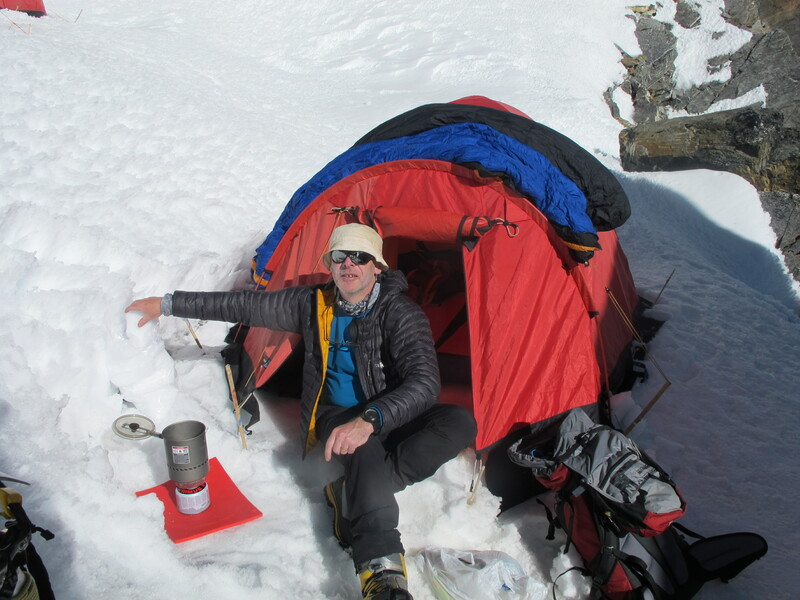 Once we’d done that we were able to descend back to BC for 2 days rest before heading back up to make our summit push. 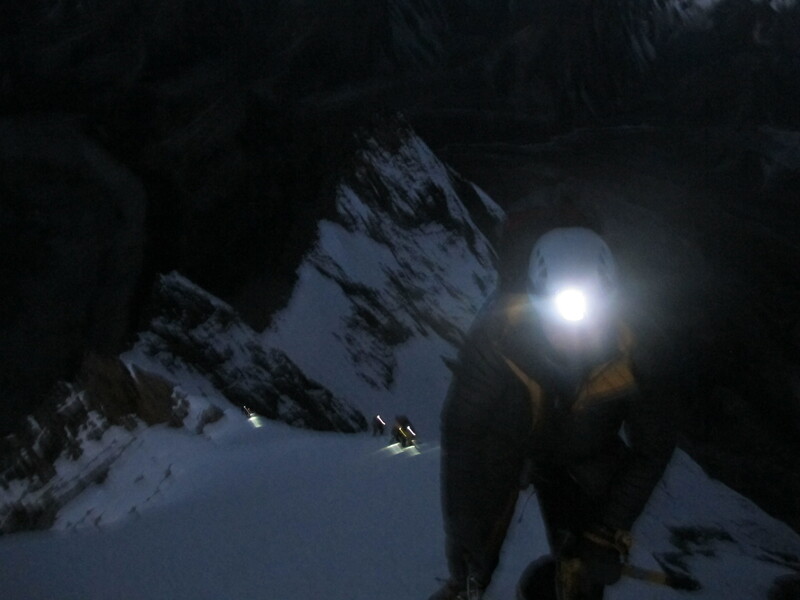 It was a brisk -15 degrees at 3 am when we headed off up the ridge in the dark – the line of head torches beneath us slowly moving from anchor to anchor. 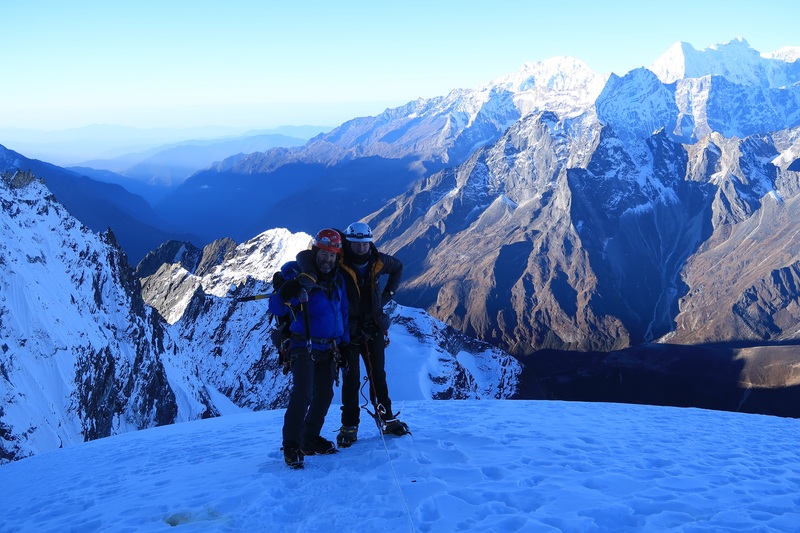 As dawn approached we were at 6200m with only 250 m of vertical climbing and about 1 km of travering ahead of us – reaching the final summit ridge was a welcome feeling as the sun warmed our bodies – a brief rest in a sheltered spot and we were again off towards the final delicate summit – over hanging corniced snow meant we could do the final 3 m to the top and that was no matter – the views were incredible – the wind lite and the sun warm on our weary bodies – all that was left for us to do now was descend – congratulating the other team members as they negotiated the final few 100m or so for their own summit and eventual descent. 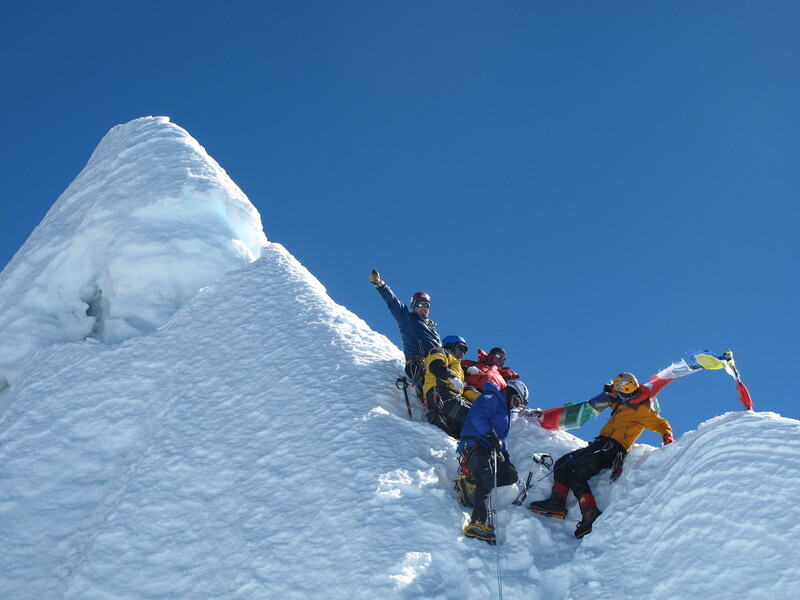 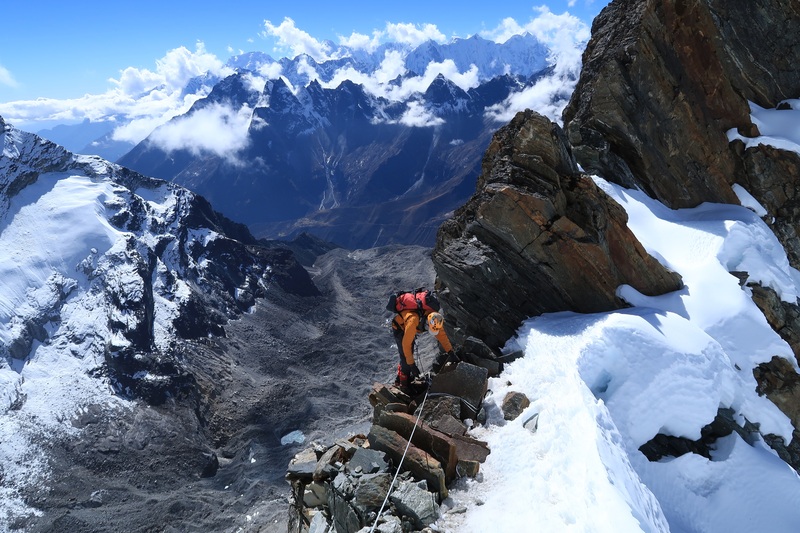 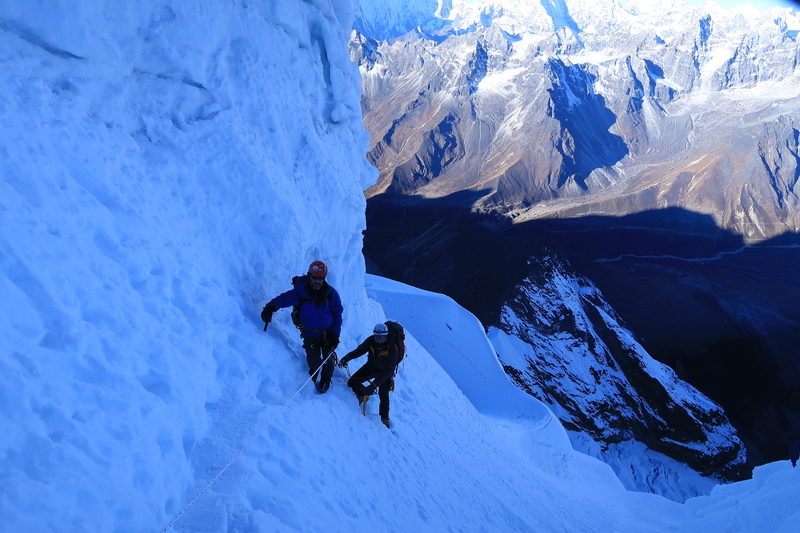 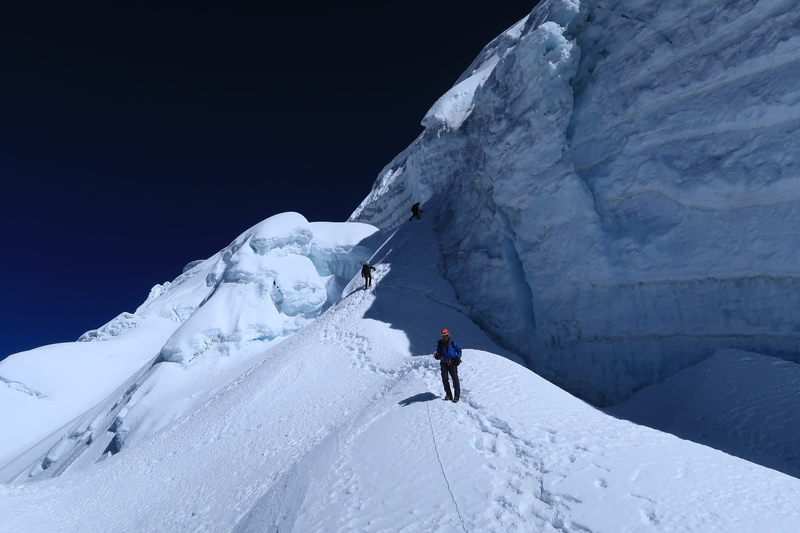 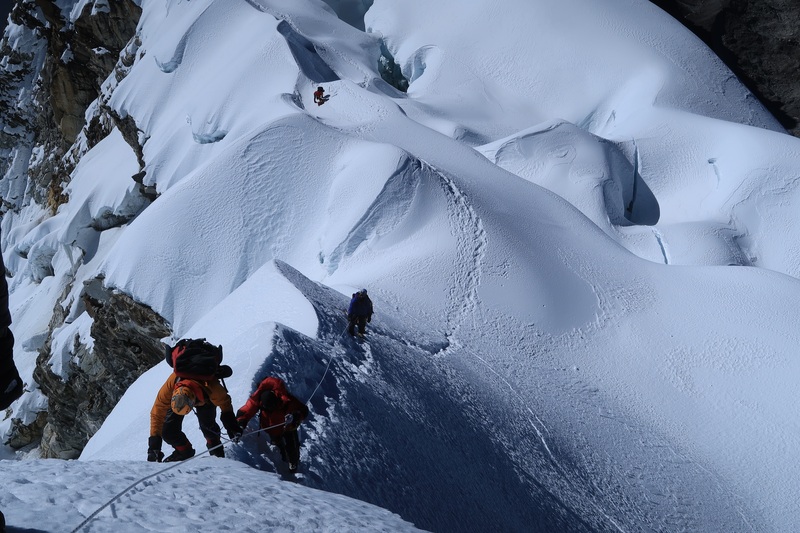 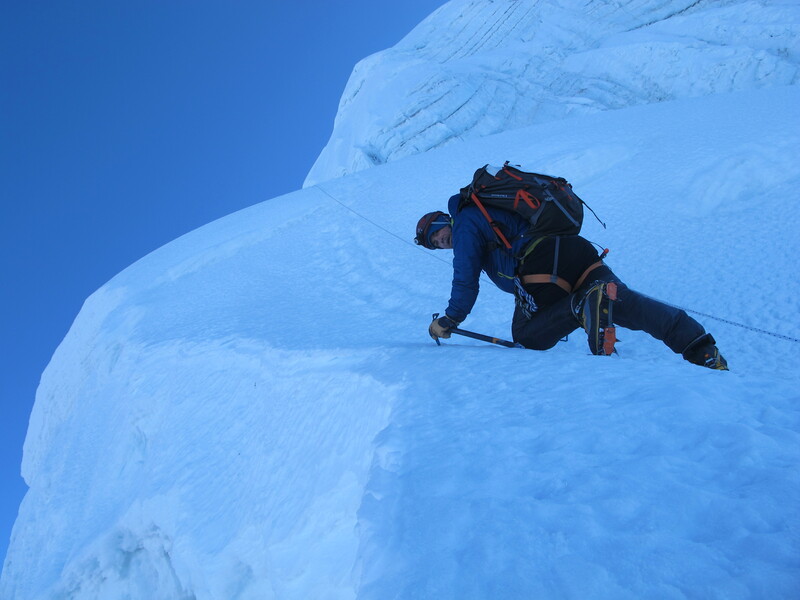 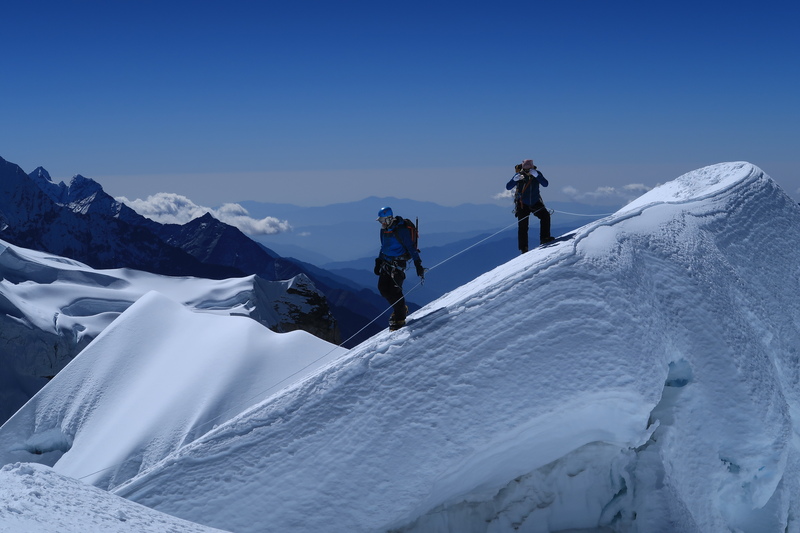 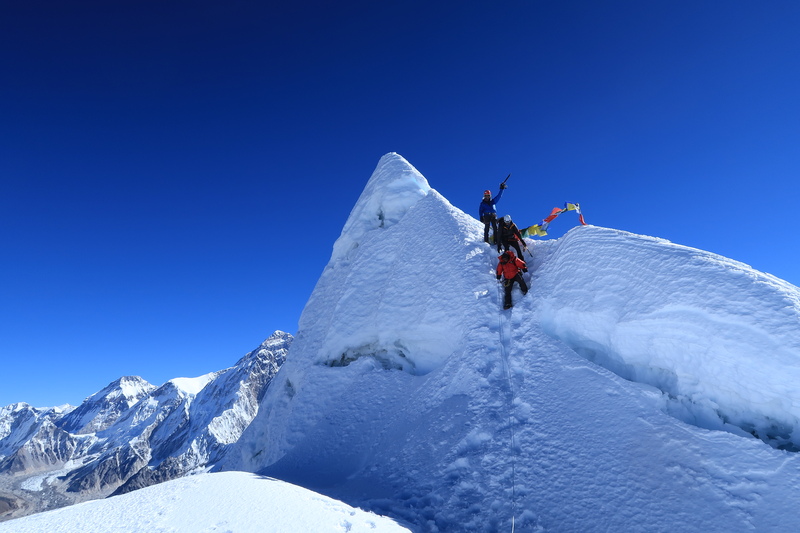 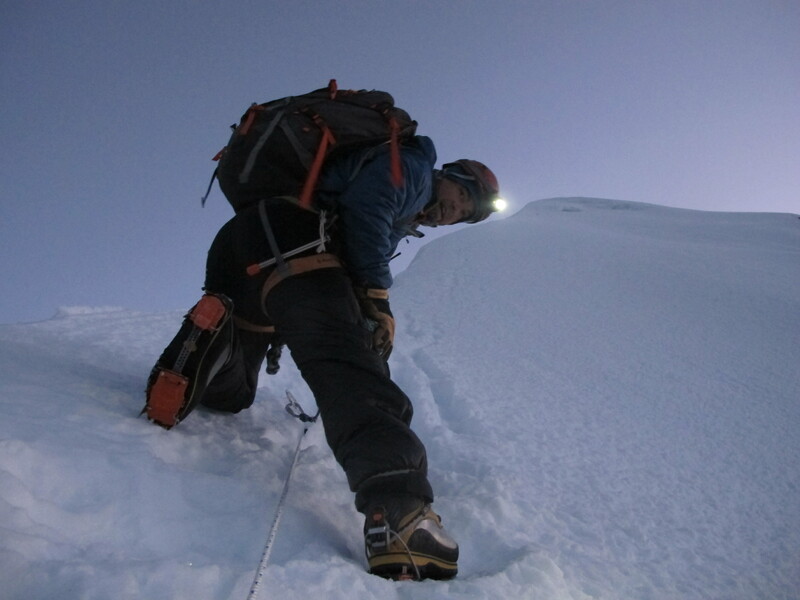 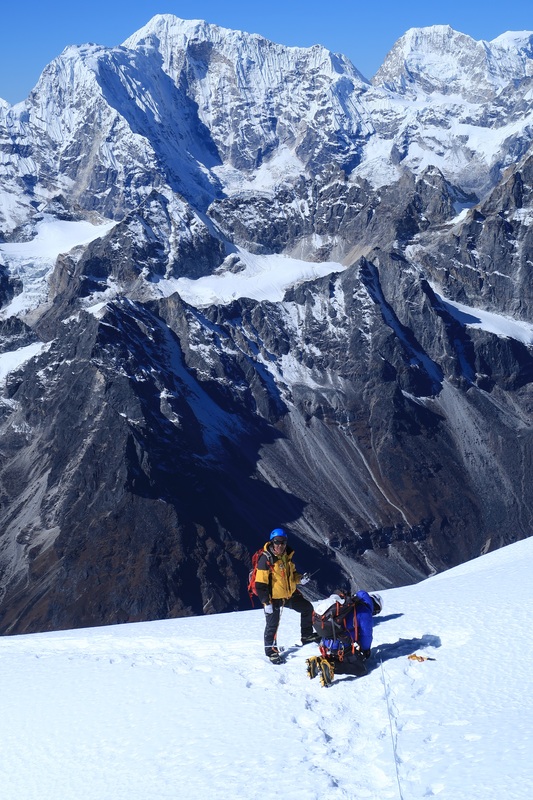 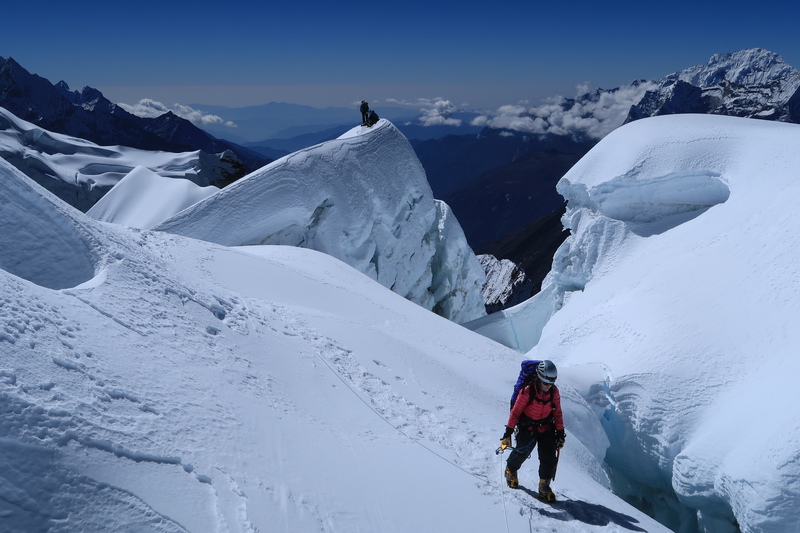 Descending is actually the most critical phase of the the entire expedition / climb. 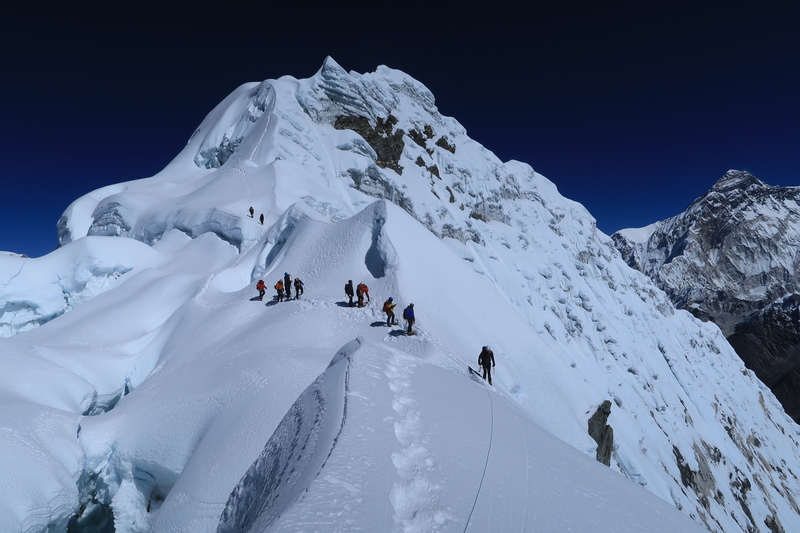 Weary bodies and mind – sore feet and very steep terrain kept everybody on their toes – litterally! 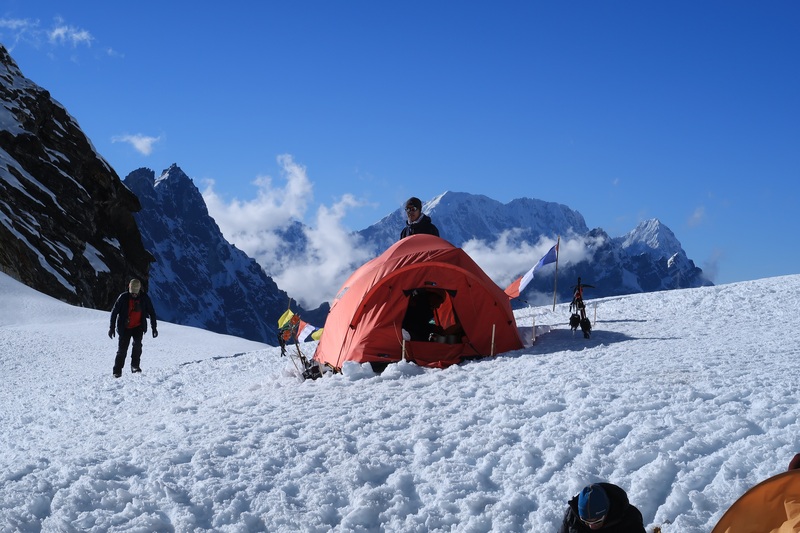 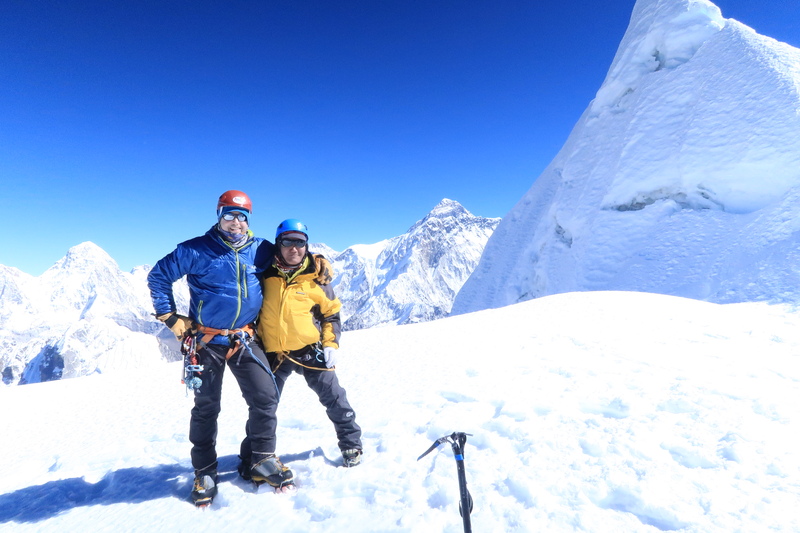 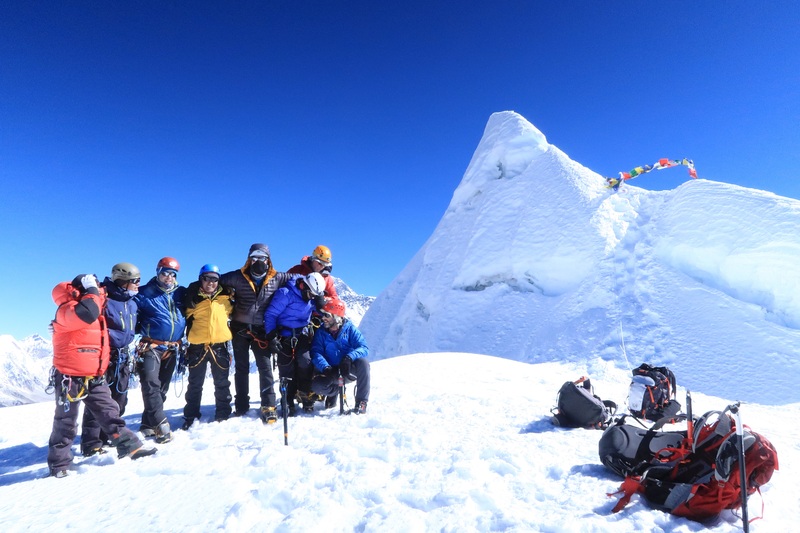 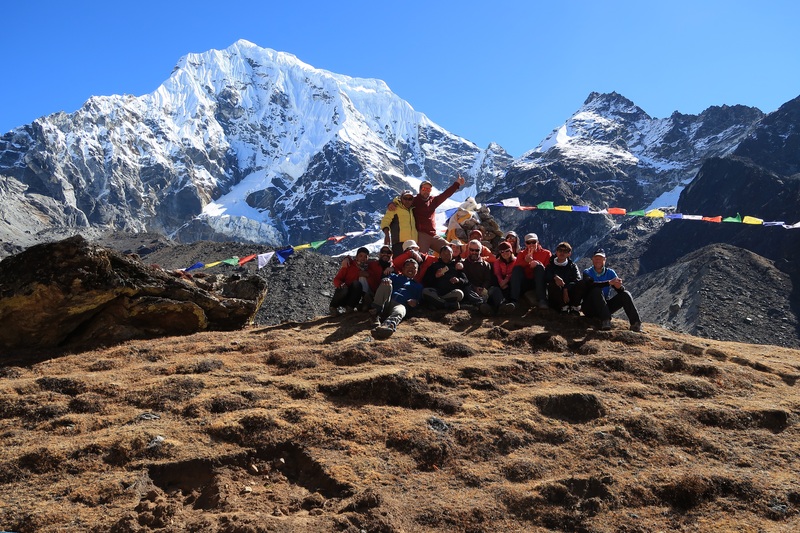 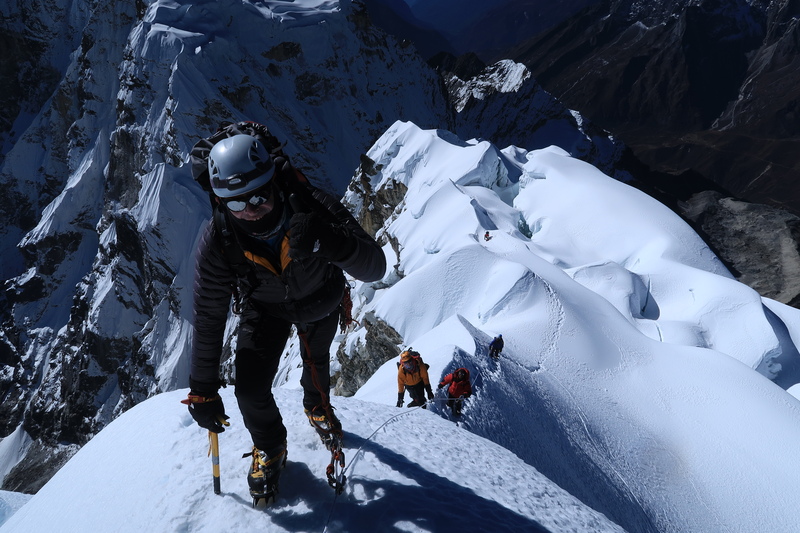 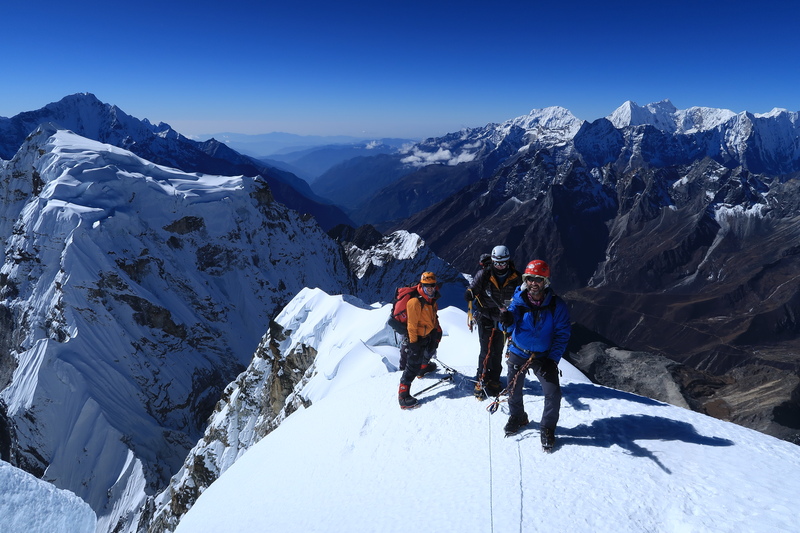 Of course – NONE of this would have been possible without the amazing tram of climbing Sherpa’s – a fantastic group of men – strong, motivated and always ready with a smile – Proud to have one again been working alongside of these men.